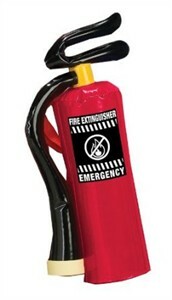 This Inflatable Fire Hose is your go-to accessory for your little fire fighter! Your child's youth and short stature is no obstacle for his heroic deeds! The item can be paired with one of our kids fire fighter costumes. Availability: The Inflatable Fire Hose ships within approximately 1 business day.